As Halloween approaches, we're going above and beyond to get you into the spirit. You may have already noticed that two of our darker lands just got the Halloween treatment and got even darker and spookier. Boo!!! This picture was taken at Urbanopolis. There are pumpkins and skeletons everywhere... If you want some of those for your home decor, go to the Specials Store - you'll find lots of cool stuff there. You can even make your home a haunted house. You may have already heard about Bobby's first ever Zombie March. The event was held at Haunted Valley. 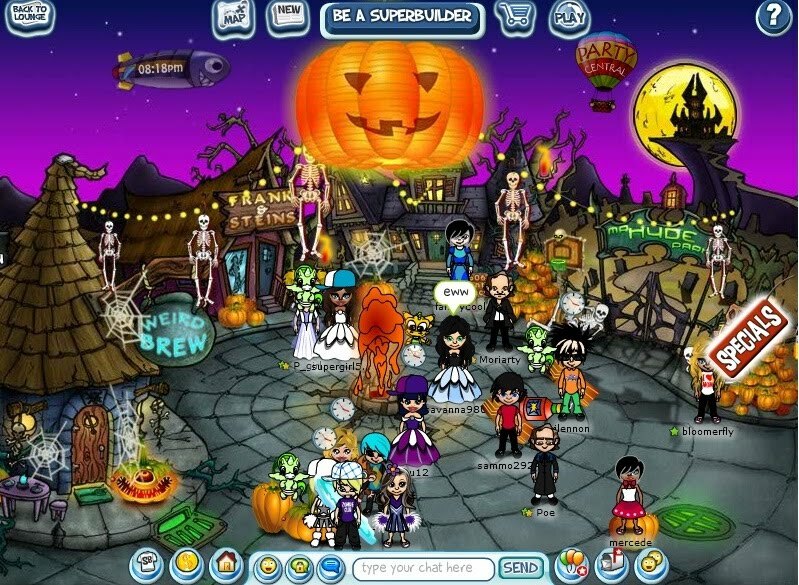 It's just the beginning of a series of events and contests in honor of Halloween. Be on the lookout for announcements of all upcoming happenings - you wouldn't want to miss a thing!